Rap music has only been a mainstream music staple since the '80s. It is astonishing to see how many important songs exist in so short a time. While this makes any "Top 10" list difficult, the sales stats and historical importance of the following ten rap songs rank them among the best in the history of the genre. Released in 1979, Rapper's Delight helped start it all. It was the first rap song to break into Billboard's Hot 100, even making the Top 40. It was the herald to the world that rap had just gone mainstream, and it helped birth a new genre. If that wasn't groundbreaking enough, it was produced by one of the best female music producers of all time, Sylvia Robinson. Another historical milestone for rap music, the 1982 song The Message by Grandmaster Flash and the Furious Five (also produced, in part, by Sylvia Robinson) is considered the first rap song to describe life in the inner city with gritty realism, a forerunner to rap artists to come such as N.W.A. and Jay-Z. As Rolling Stone noted, the song was also notable for being one of the first slower tempo rap songs. It charted at no. 4 on the R&B-singles chart, and it earned the group a place in The Rock and Roll Hall of Fame. 3. "Straight Outta Compton" by N. W. A. N.W.A. 's debut album Straight Outta Compton was, as Time Magazine describes it, one of rap music's most notorious and historic albums. The album begins with the title track Straight Outta Compton, and like the popular song Fight The Power by Public Enemy, Straight Outta Compton would help change rap music forever. It would function as an explosive, controversial lens that mirrored the angry protests in urban culture while trying to capture what life inside of it was like for young people. Tupac Shakur's mix of lyrical brutality and tender social conscience left a permanent mark on the genre. Although Tupac has a long list of hits that reached far across popular culture (i.e. Changes, which even non-rap music fans became familiar with), the track How Do U Want It was his first no. 1 hit on the R&B/Hip Hop and the Top 100 charts, and Billboard lists it as the top Tupac song of all time. Sadly, it was released only two months before his death in 1996. Dr. Dre's landmark 1992 album The Chronic has become one of the most significant works in rap history. The song, Nuthin' But A "G" Thang, is the album's most important and well-known track. 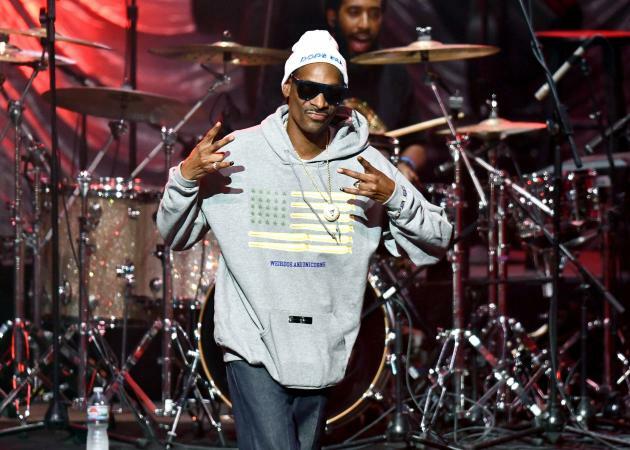 It launched the career of Snoop Dogg quickly into superstar status along with Dr. Dre who had already earned fame for his work with N.W.A. This chilled-out, old-school, West Coast hip hop song-with its instantly recognizable high synth triangle waveform carrying the melody and Snoop's lyrical entrance "1, 2, 3-and-to-the-4, Snoop Doggy Dogg and Dr. Dre is at the door"--reigned near the top of the Hot 100 for 27 weeks. Lauryn Hill is not only one of the most prolific female music producers in music history, she is also recognized as one of the best female rappers of all time. She accomplished the latter mostly with her landmark album The Miseducation of Lauryn Hill, which shot to fame thanks to the massive hit Doo Wop (That Thing). Run-DMC helped launch rap music before the N.W.A., Public Enemy, Dr. Dre, or Snoop Dogg took to the stage. Hip Hop Golden Age ranks the 1983 track Sucker M.C. 's as the most important Run DMC song because it launched Run DMC's career. Its sparse production (just slightly reverberated rap vocals over a fat drum machine beat) would become hugely influential to the rappers that would follow in the late '80s and '90s. The '80s and '90s were important decades for rap music, but when Jay-Z rose to super stardom in the 2000s, he brought rap music even further into the mainstream core of popular culture. His legendary song 99 Problems, produced by the equally legendary Rick Rubin (who helped create modern rap music), played a big part in launching Jay-Z's career to such influential heights, and it is often ranked as Jay-Z's no. 1 song. Stan, which tells the fictional tale of a fan of Eminem who takes it too far and becomes a deadly stalker, is considered a rap music masterpiece of songwriting and storytelling by many critics. Considering that Eminem is the top selling rapper of all time with 172 million albums sold, Eminem's masterpiece deserves to be on this top ten list. Kanye West helped re-shape and redefine hip hop music in the 2000s and 2010s. His signature track Gold Digger helped launch him into superstar status when it peaked at no. 1 on the charts and went on to sell three million copies in the United States. It is certainly among the most important rap songs of all time when you consider the sweeping influence that Kanye West has had on the genre since Gold Digger was released.